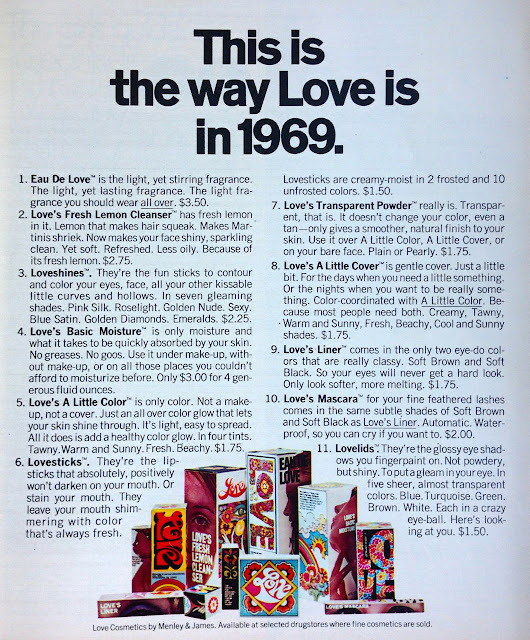 When Mary Wells, one of advertising’s most influential people in the 1960s, was approached by pharmaceutical manufacturer, Menley and James, to help market their new cosmetics line, she chose “Love Cosmetics” for its name to capture the essence of the culture at that time. A brilliant marketing strategy ensued, with Mary eventually convincing M&J to choose Ali MacGraw, who was then a photographer’s assistant, to represent the brand. You may remember her in television commericals for Love Cosmetics with the song “Wear your love like heaven” by Donovan playing in the background. Love's advertising budget surpassed $7 million. There was an emphasis on a long-term building operation, with advertisements on television and in women's magazines. 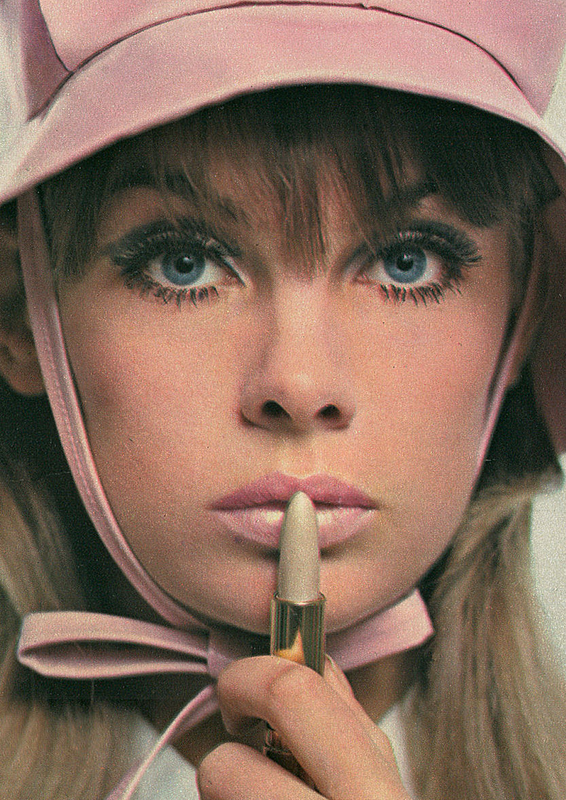 A 4-page spread appeared in the February 1969 Harper's Bazaar. The headline theme was This is the way Love is in 1969. The opening continued with Love today is different than it's ever been. It's freer, more natural, more honest-more out in the open. So are the girls who fall in love these days. Singer Andy Williams hosted a mid-March 1969 Andy Williams Love Special. 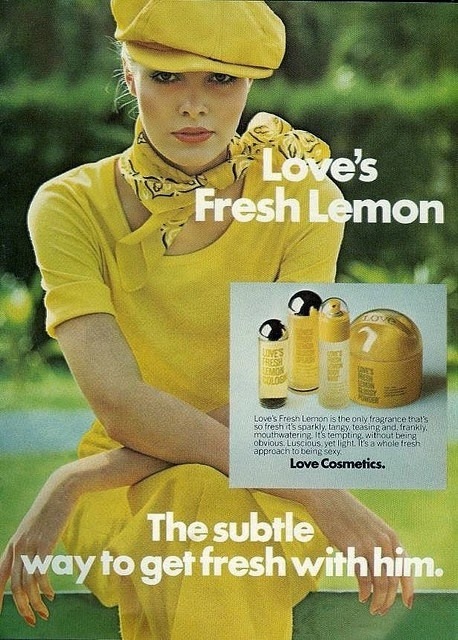 Love Cosmetics is credited with introducing the lemon craze. 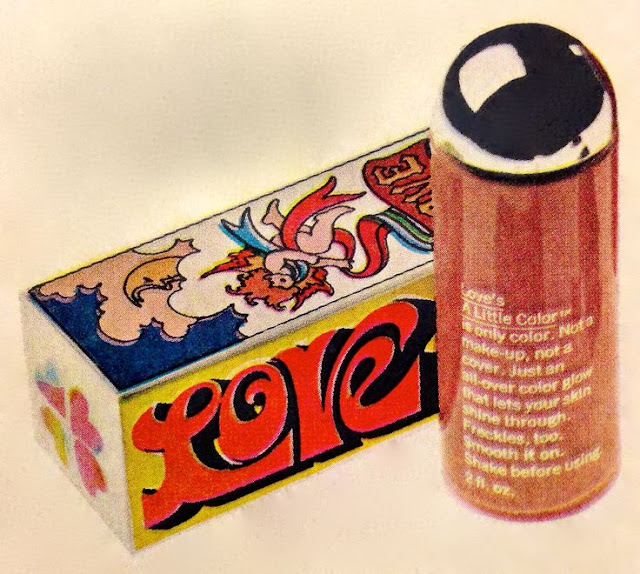 Love Cosmetics were just the coolest makeup ever made. The advertising agency promoted to the youth market and was not your "mother's" makeup. 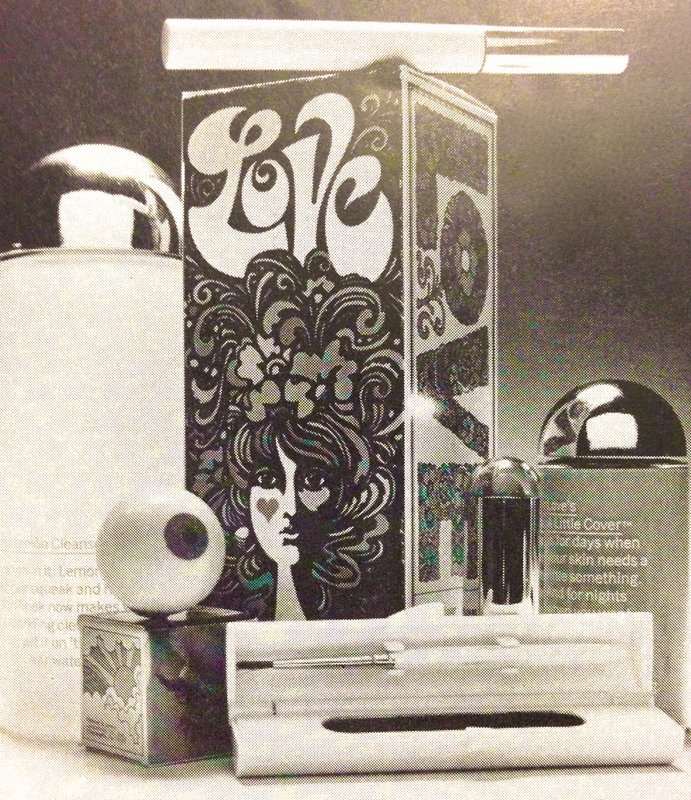 Love Cosmetics (1969 - 1980) was introduced by Menley & James Laboratories on March 1, 1969. 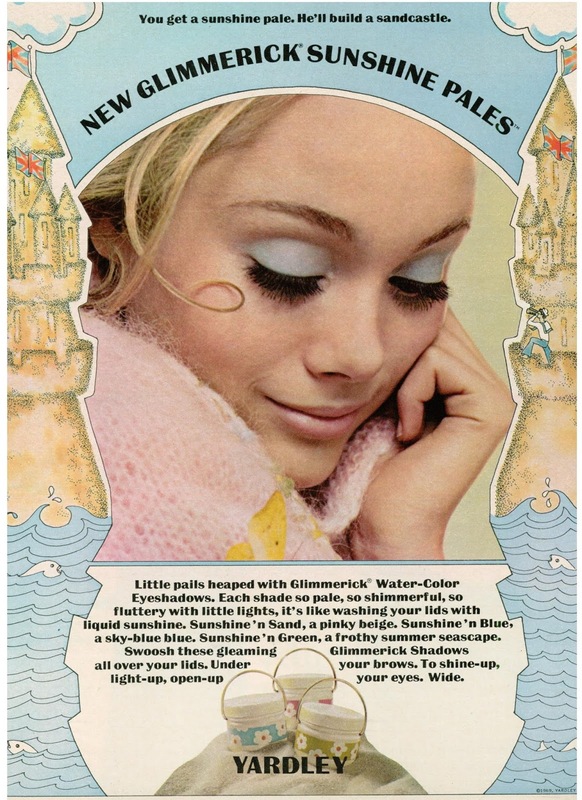 By the summer of 1970 the company was marketing and promoting Fresh Lemon bath products and Soft Eyes items to beautify the eyes. Advertising was coordinated by Wells, Rich, Greene advertising agency (1967 - 1990), a company founded by Mary Wells Lawrence. The ideal customer on which marketing focused was a young woman, 20 to 25. She might be a young businesswoman, co-ed, or young married. She was likely a trend setter and a heavy cosmetics user. Love Cosmetics' first line of items included Love's Fresh Lemon Cleanser, Lovelids eyeshadow, and Eau De Love. The latter came in a 6 oz. bottle. In all there were eleven products, and with the inclusion of shades, they numbered forty-three. Loveshines was the fun stick to contour and color your eyes, face, all your other kissable little curves and hollows. 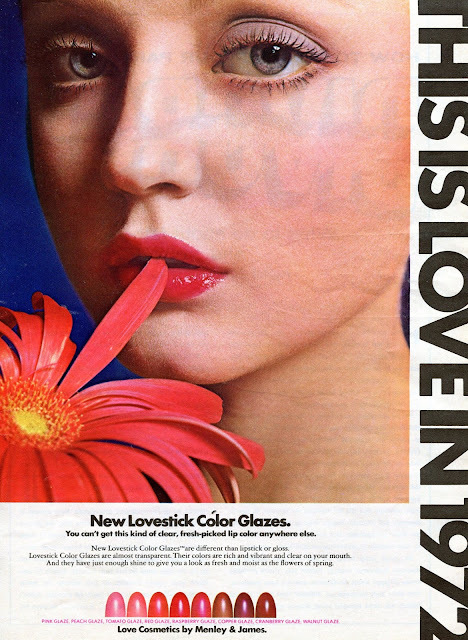 Lipsticks were called Lovesticks. The remainder of the line was Love's Basic Moisture, Love's A Little Color, Love's Transparent Powder, Love's A Little Cover, Love's Liner, Love's Mascara, and Lovelids. The latter was eyeshadow with a container in the shape of a plastic eyeball. I had all this line and the eyeballs were so cool but you had to use your finger to apply it. That became an unhealthy procedure so eyeshadows with applicators became the standard. Yardley of London is the world's oldest cosmetics company. 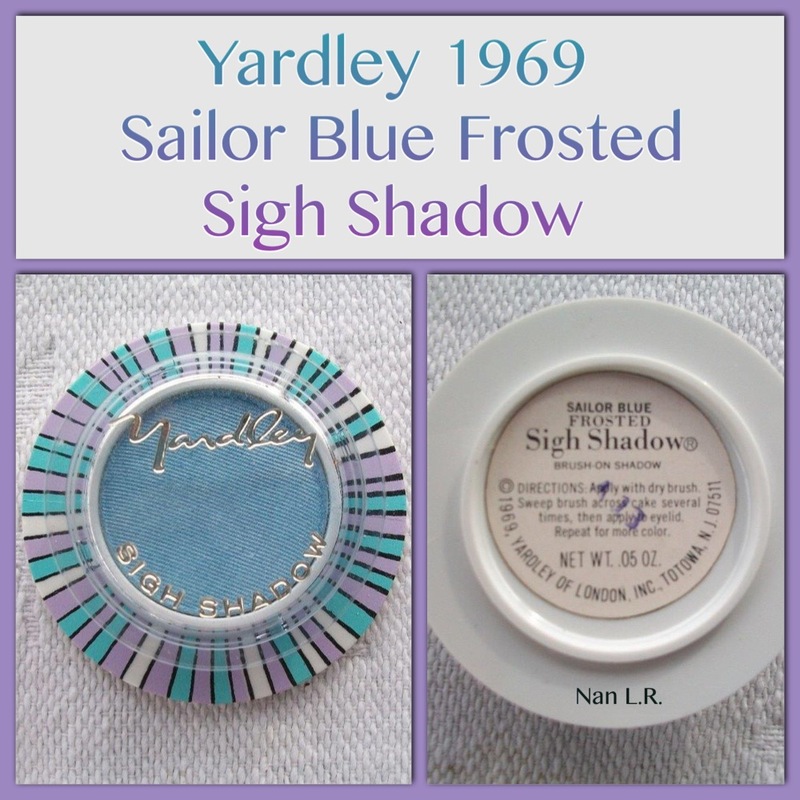 Established in 1770, Yardley was a major producer of soap and perfumery by the beginning of the 20th century. By 1910, it moved to London's Bond Street, and in 1921 Yardley received its first Royal Warrant. Today, Yardley holds two Royal Warrants. Yardley London is famous as a purveyor of luxury fragrances and soaps. House of Yardley was born in England in the mid-seventeenth century, during the reign of king Charles I of England. An entrepreneurial young man named Jonathan Yardley obtained a royal warrant for the provision of all the soap to City of London. The means by which this warrant was obtained are lost to history, however we might suppose it involved payment to the monarch of a sizeable, and no doubt welcome, sum. This first incarnation of Yardley was lost, as was so much of the old city, in the Great Fire of London of 1666; save for one detail – that lavender should be used to perfume the soaps. Is there anything that you or anyone knows of that smells like those Slicker lip polishes used to smell?? I absolutely loved that scent!!! Yes, Wet n Wild stick liquid lipgloss in the pink smells a lot like the strawberry fragrance of Pot o Gloss. Wish they would bring it back! Did the Slicker lipsticks smell like strawberry too? Wish they would bring back the scents Eau De Love, and Eau De London. They were fresh and light, not like the sprays today. Kathy Clem I agree they should bring back those perfumes. Eau De London was the only scent I wore back then. Lately I have been longing to smell that wonderful smell of Eau De Love Perfume. I have never smelled any fragrance like it since. I ordered some through Timeless perfumes and it was the most horrible thing I ever smelled-not even remotely the same. The closest I have come to something that smells even close is of all things a deodorant. Ban Shower Fresh. I guess that smell is what got me thinking again of Eau de Love. I sure wish it was truly still available! Seems to me the palest pink tasted like peppermint. I remember the striped lipstick cases. It seems that the palest pink was peppermint. Clearly remember the striped lipstick cases. Yardley's was Oh! de Love. The Slicker lipsticks had their own fragrance different from the flavored ones. It's that scent that most people miss so much. Sorry, I meant to say Oh! de London! I also wish they would bring back Eau De London. 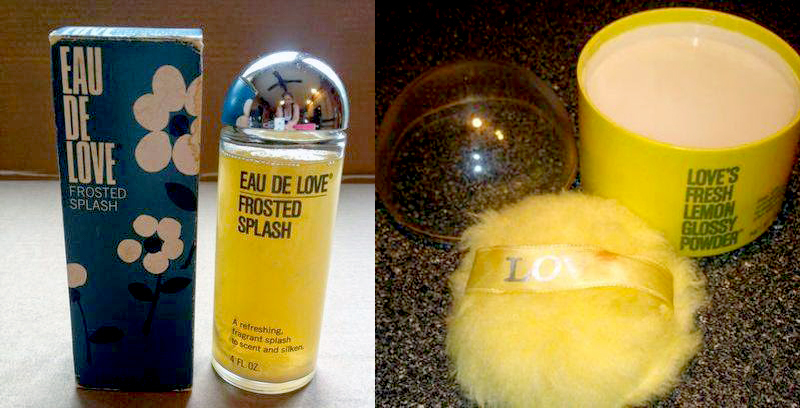 My mother bought me my first products in this fragrance, and I miss it so much. It was such a favorite of mine. Yes, I went out on a limb for 2 (0.33oz each) sprays for $49.95 a pop. When the product arrived I thought the box was empty, It contained two lipstick size sprays that did not smell anything like the catalog advertised. The boxes containing the sprays were labeled 'Menley and James', and suspiciously looked foreign made. Fortunately VCS has a 100% satisfaction guaranteed return policy. This is the second time I have ordered a fragrance product from them that did not meet the 'great nose' test, so be aware that remakes leave much to be desired. In this case, it is not the aging process because this nose still can tell the difference between all the Chanel Nos. Darn! I was hoping to relive some of my misspent youth. "Bubblegum" in pale pink had a bit of a sugary/bubblegum taste but my second favorite color "Frost" had no taste. Sure miss those colorful tubes. 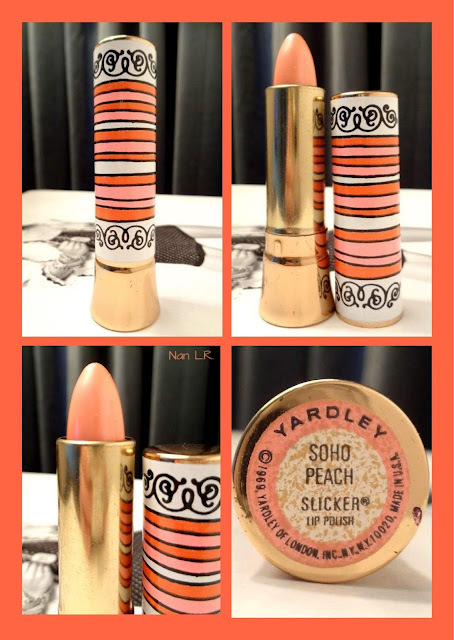 Loved Loves cosmetics and Yardley of London! The only place I see some of these products are on Ebay. 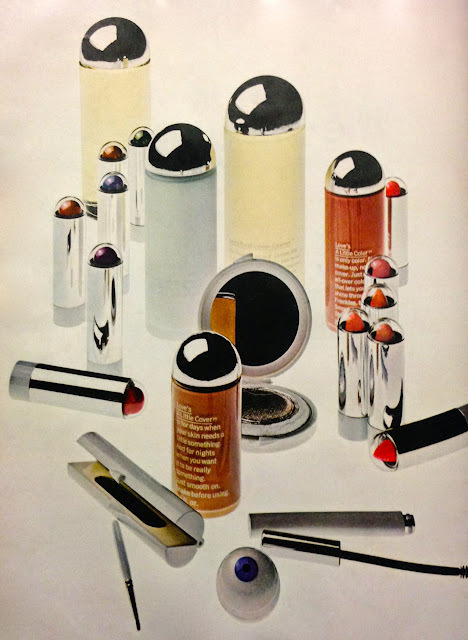 I definitely remember that beautiful scent of Slicker lipstick with the pretty stripes on the tubes. Wish they would bring them back. I miss both Love cosmetics and Yardley of London! Wish they would make some kind of comeback. Same here. 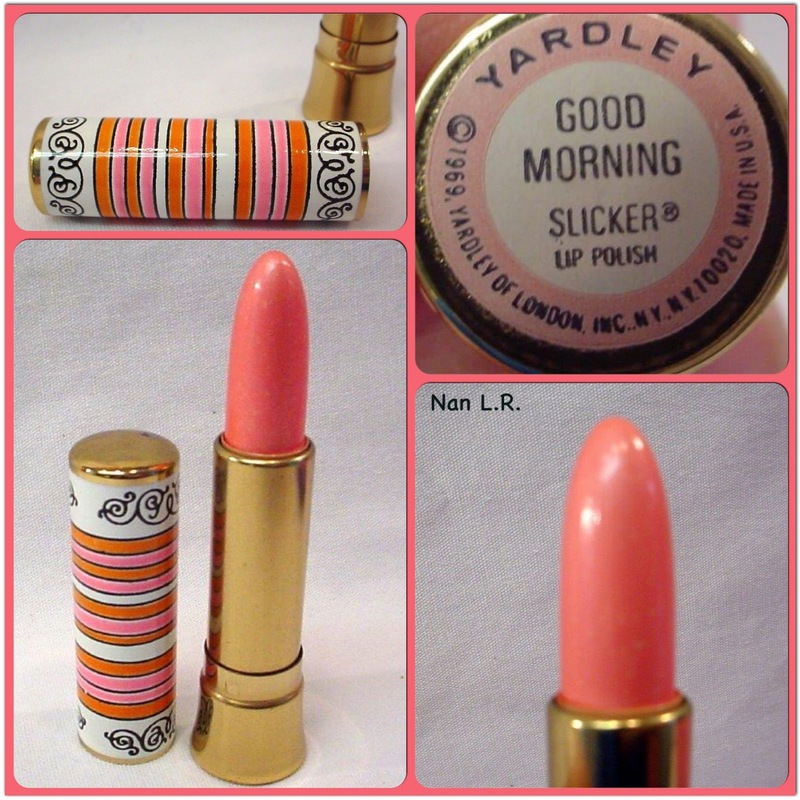 How I miss both Yardley and Loves cosmetics. please bring Yardley love cosmetics line back! Love's Soft Eyes cake eyeliner and mascara were fabulous. I wish they would reproduce them. I keep looking for eye makeup that is soft and matte. Nothing like it now! 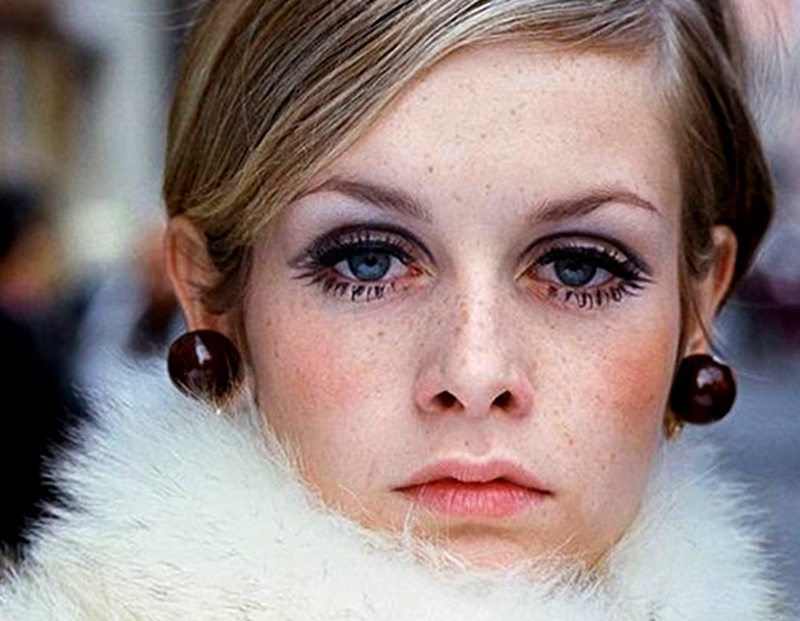 I have never found any eye make-up better than Love's Soft Eyes. The matte cake liner was wonderful and the mascara was great. I feel a lot of women, those who remember "Oh de Love" and younger ones who will know a great scent, and want to have it back in stores available to BUY. Estée Lauder had a summer fragrance called Bronze Goddess Soliel - was as close as you can get to Eau de Love. Sadly they replaced it with the current Bronze perfume which is too heavy with tuber rose.